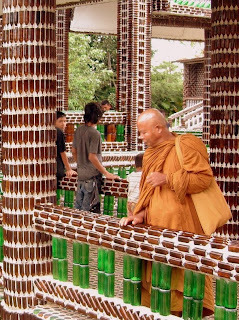 The monks from Wat Pa Maha Chedi Kaew in the North-Eastern Thai province of Sisaket have taken recycling to a whole new level by building a temple from more than 1 million glass bottles!!! 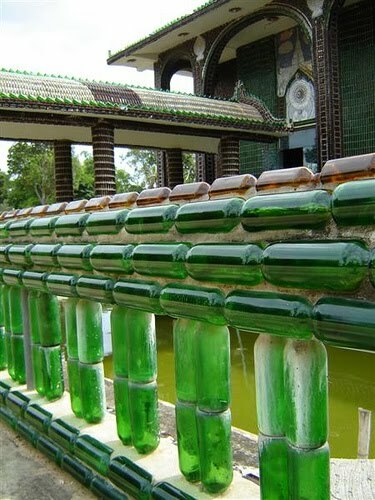 A friend here in Thailand emailed about this a little while ago and I thought it was time I featured it on the site. 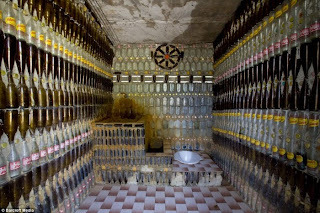 The temple is in the town of Khun Han near the cambodian border and is affactionately known as "Wat Lan Kuat" or "the temple of a million bottles" and true to its moniker it is made from glass bottles throughout, even in the crematorium!!! 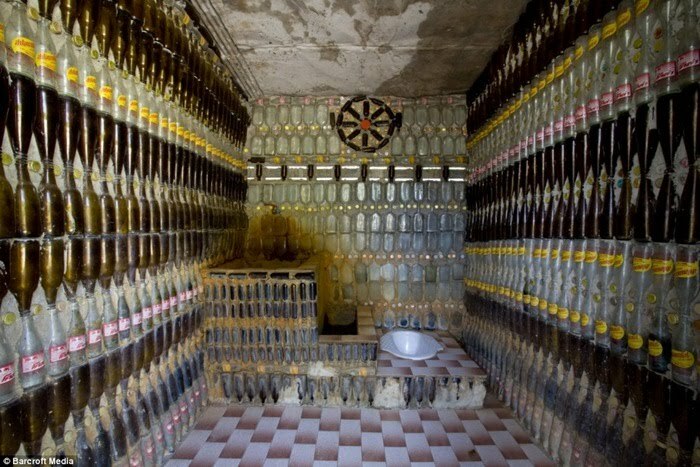 That's a hell of a way to make your final journey, surrounded by bottles of amber nectar!!! 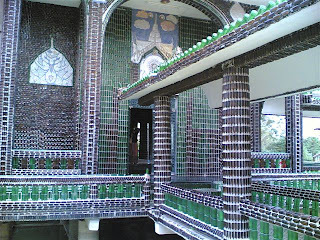 The holy men originally began collecting bottles, in 1984, with aim of using them as simple decorations within the temple grounds. But, one of the monks had a moment of inspiration and suggested using the bottles to construct new buildings on the site and as their collection grew so did their temple. The temple has now become an interent sensation and is extremely popular with Thai and foreign tourists alike. I hope you enjoyed the pictures and as always I will be on the look out for more weird and wonderful stories from the Land of Smiles.